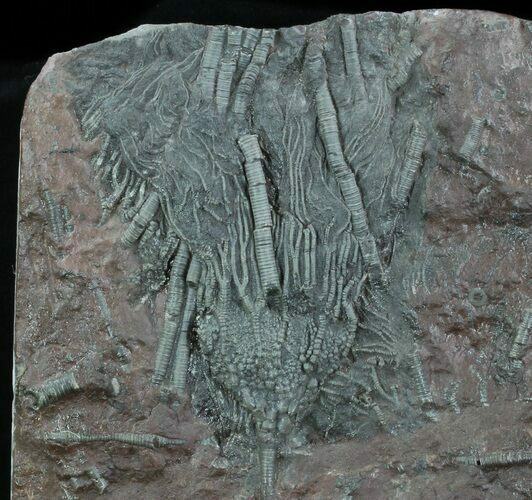 This is plate of Silurian aged, Scyphocrinites elegans crinoids from Boutschrafin, Erfoud, Morocco. 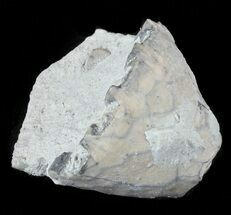 There is one large, detailed crown and many stems on the rock. 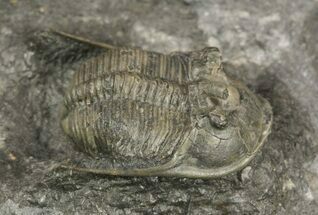 As with basically all the crinoids from this locality the rock has been repaired with some gap fills as these crinoid tend to come out of the ground in many pieces. 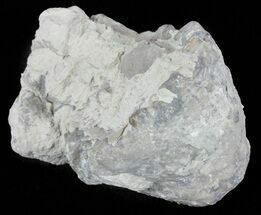 The entire rock measures 10x8.3" and comes with a display stand. 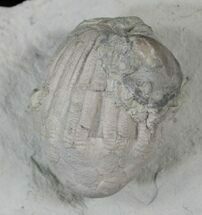 Crinoids where animals which were rooted to the floor of the ocean by a stem and had many armored feeding arms which they used to filter the water for food. 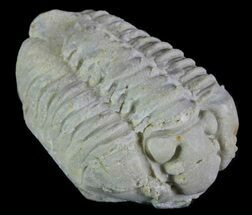 They first appeared in the Ordovician period and are still alive today. 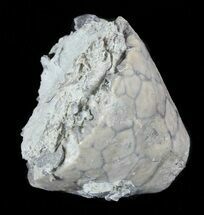 The Scyphocrinites crinoids are quarried around Erfoud, Morocco by digging straight down 16 feet until the layer is reached. 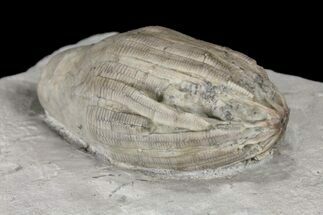 Once the crinoid horizon is located a tunnel is dug along it by hand. 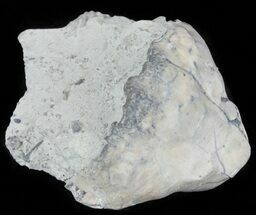 The rock, dirt and crinoid slabs must then be hauled to the surface in baskets where they are reassembled and prepared. 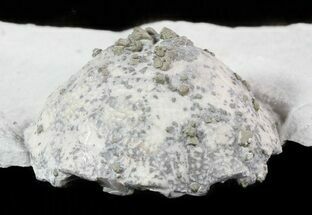 So it is a very labor intensive process to bring a beautiful crinoid plate like this one to market.